This image consists only of simple geometric shapes and/or text. 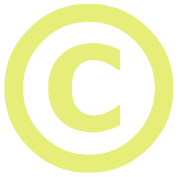 It is not sufficiently original to come under copyright protection, and is thus public domain. This page was last edited on 17 April 2014, at 03:20.